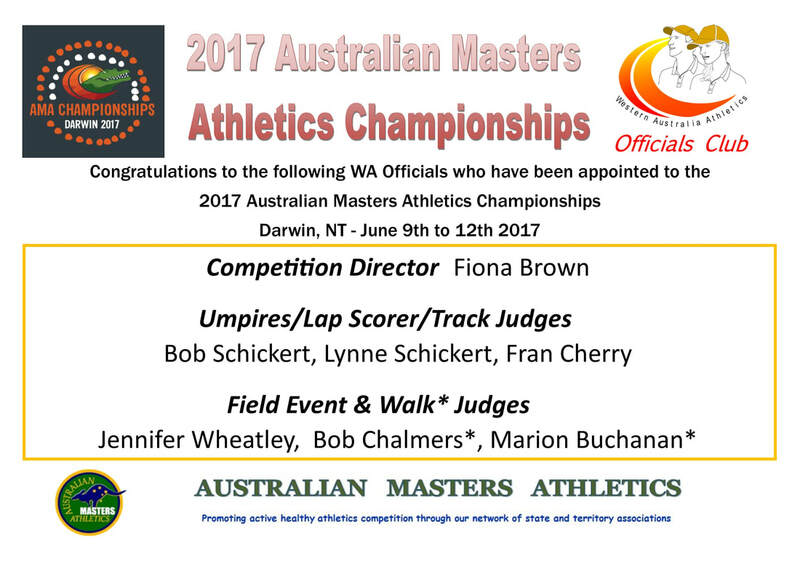 News - WA Athletics Officials Club Inc. 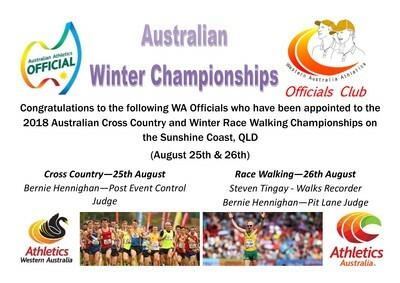 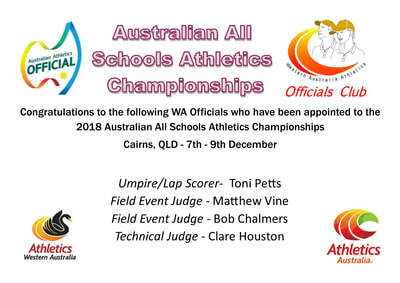 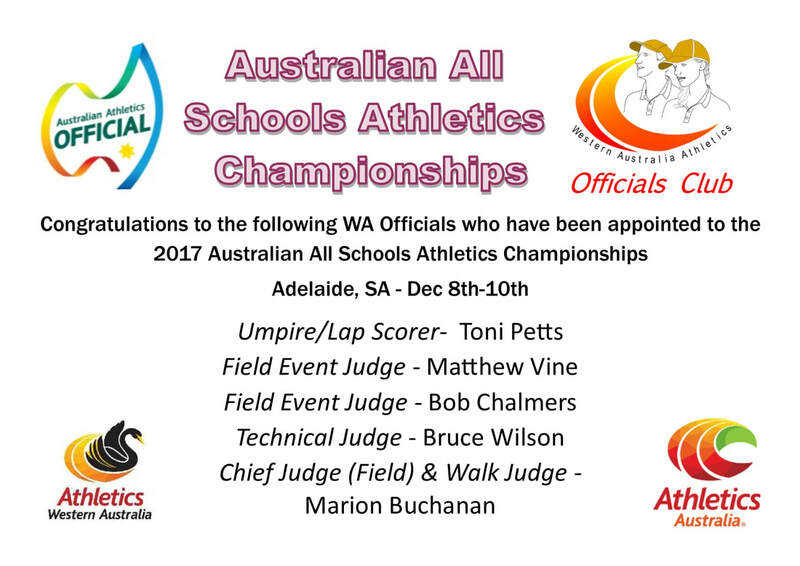 The WA Athletics Officials Club are regularly officiating at Local, State, National and even International events. 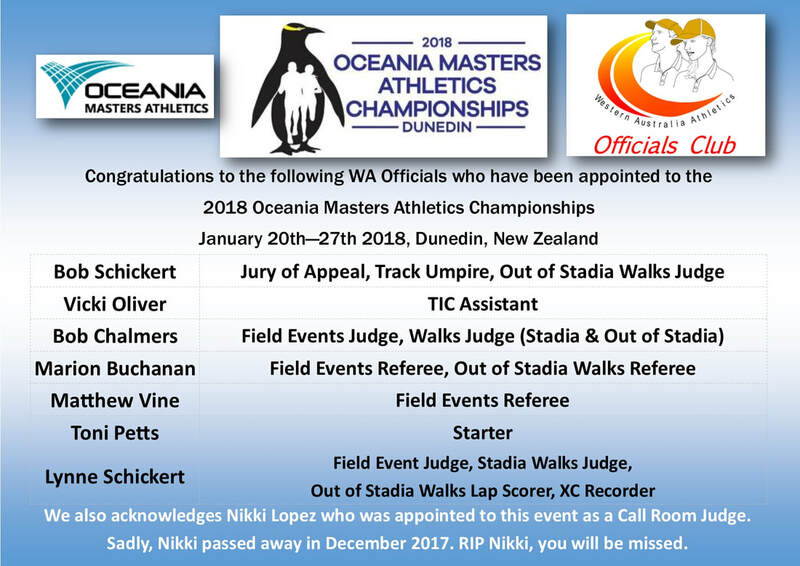 What a start to the 2018/19 season. 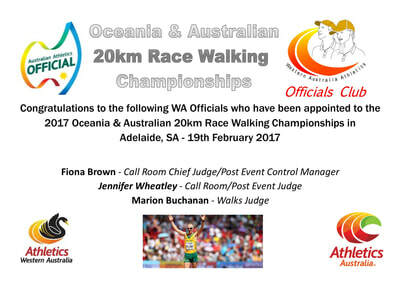 With so much happening its easy to loose track. 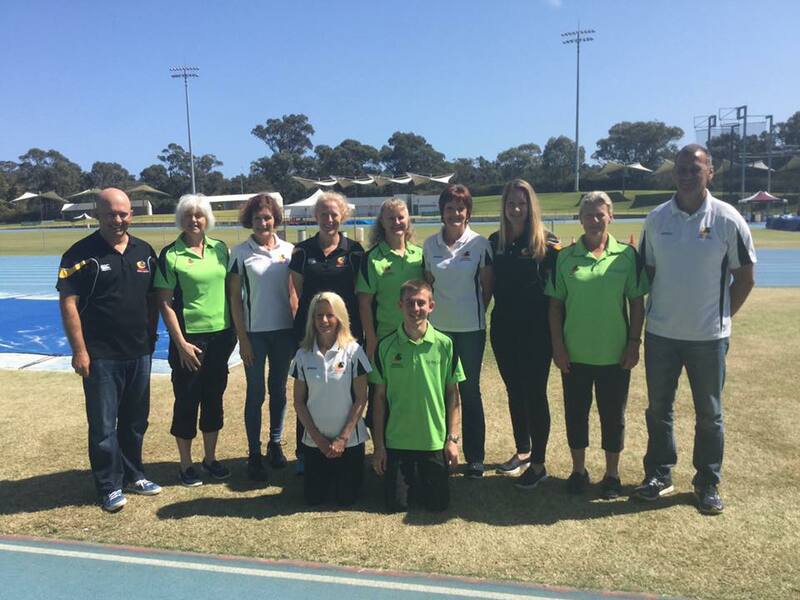 The 2017 Australian Athletics Championships in Sydney were a reendowing success for many of the athletes, but without the dedication of the over 250 officials across 8 days of competition, the competition would not be possible. 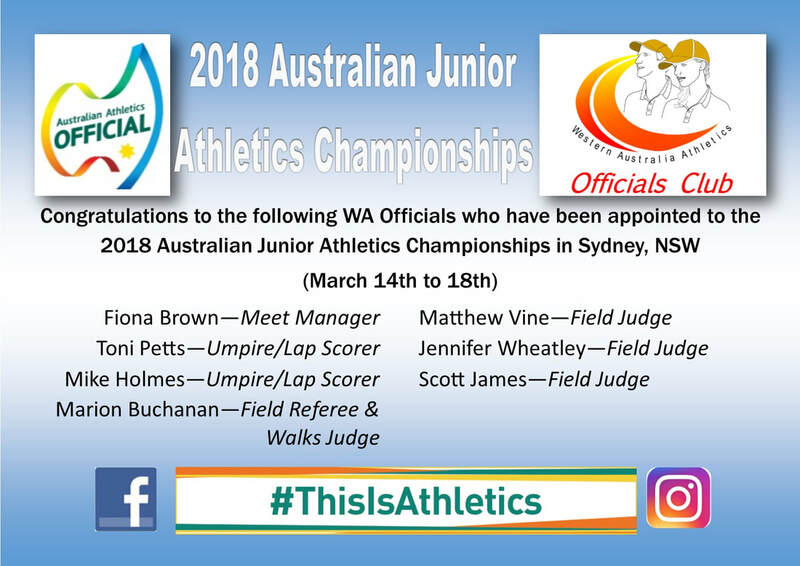 ​Many thanks to the 14 WA Officials who travelled across to Sydney to officiate, whilst some of the conditions were trying, you all performed with pride and assisted in producing a great competition for all of the athletes involved. 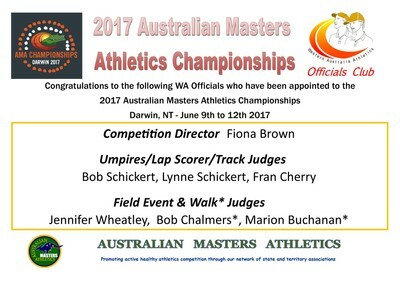 ​June Streeter was recently awarded the AWA Official of the Year and was also nominated for the national title as well. 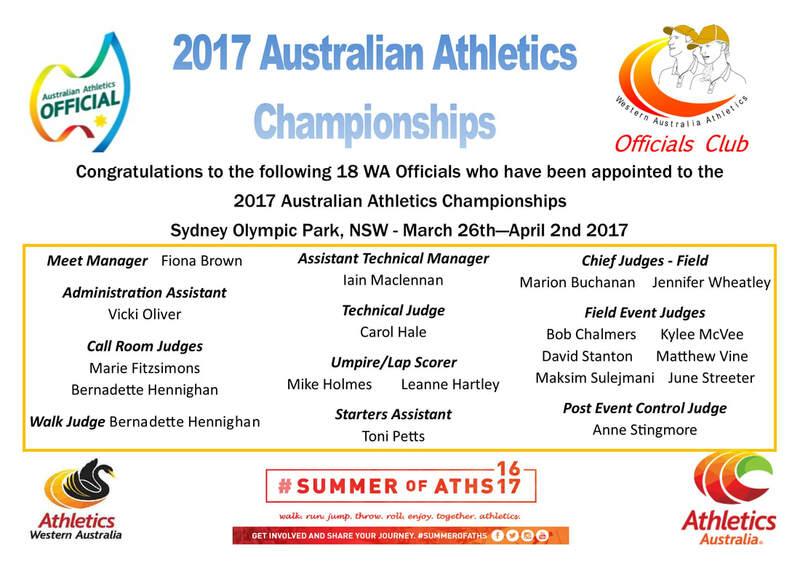 ​Congratulations June, you are an amazing official who has continued to assist and support many of the officials. Your dedication to be at competitions week in, week out is to be applauded. 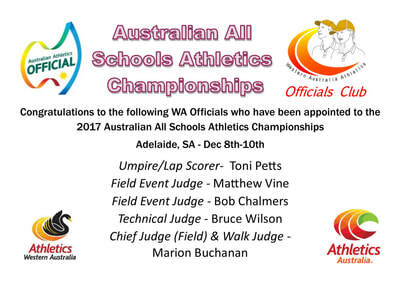 The Athletics Australia Officials Education Scheme (AAOES) has recently gone 'online'. 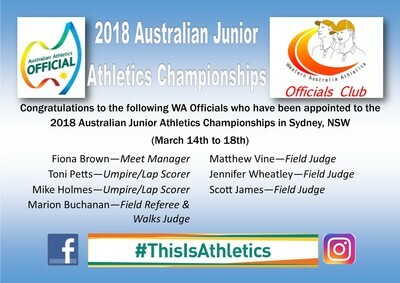 ​So recent that Jen Wheatley was the first Official to take the online examination and successfully complete and pass all the assessments for Level 2 THROWS. 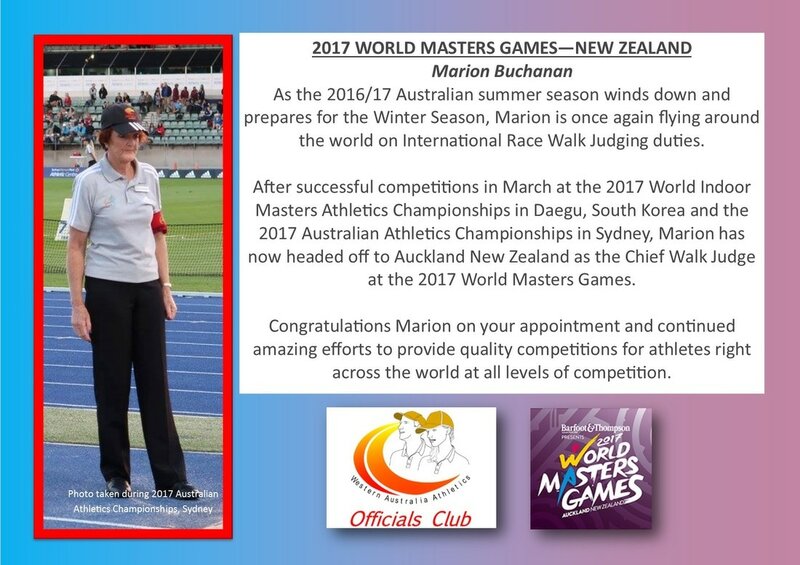 This was followed up with Matt Vine being the first to successfully complete and pass all the assessment for the Level 2 JUMPS. 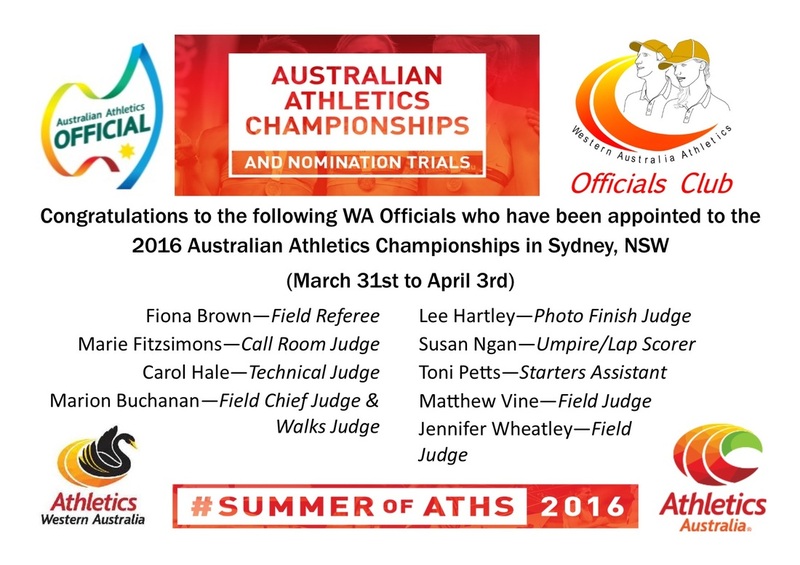 Are you preparing for the AAOES examinations? A couple of hints? 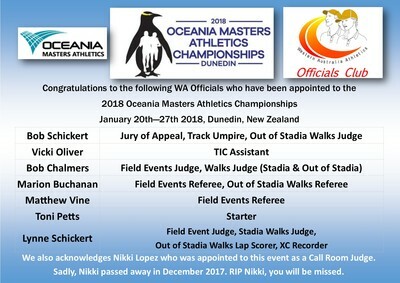 Get to know your rule books inside out, and practice, practice, practice. 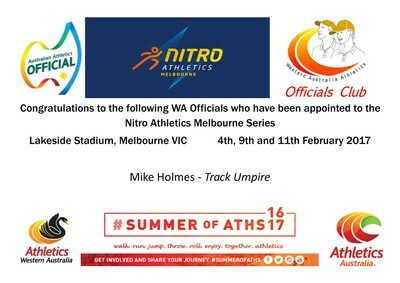 The completion of the practical card and an extensive range of on site opportunities in the field, on the track or in technical should not be underestimated as you will be required to re-call, describe and apply these learning experiences. Aim to be the best Official! 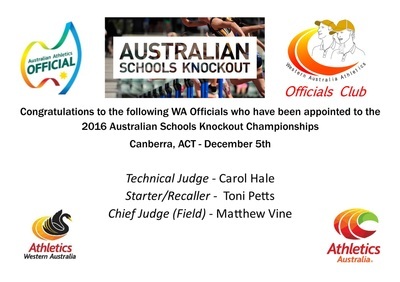 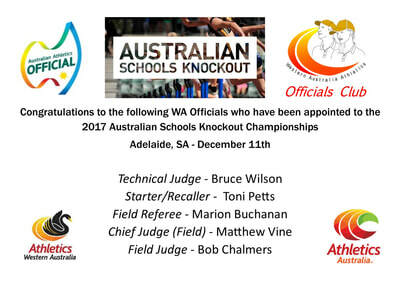 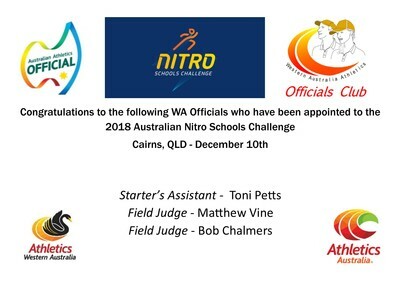 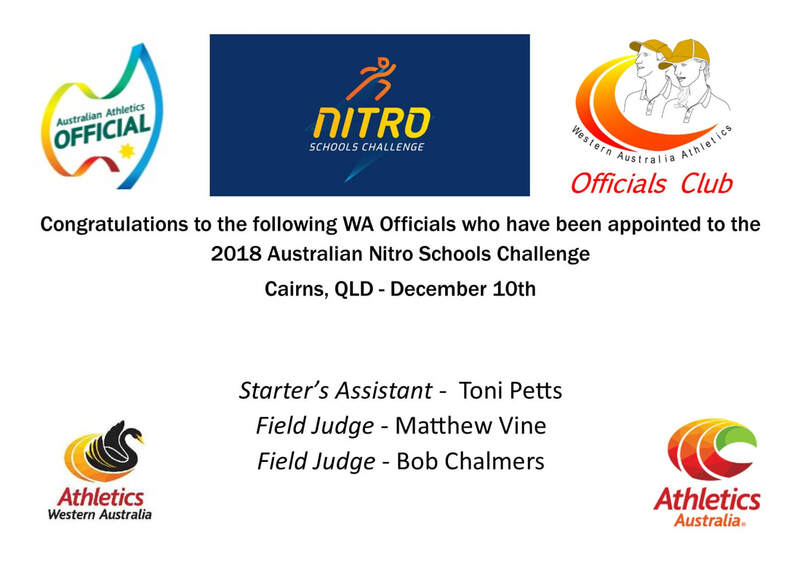 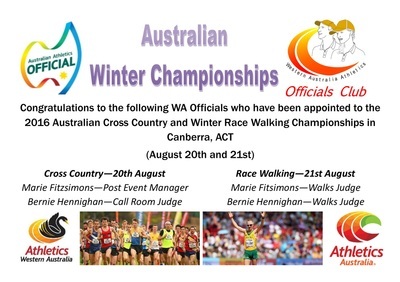 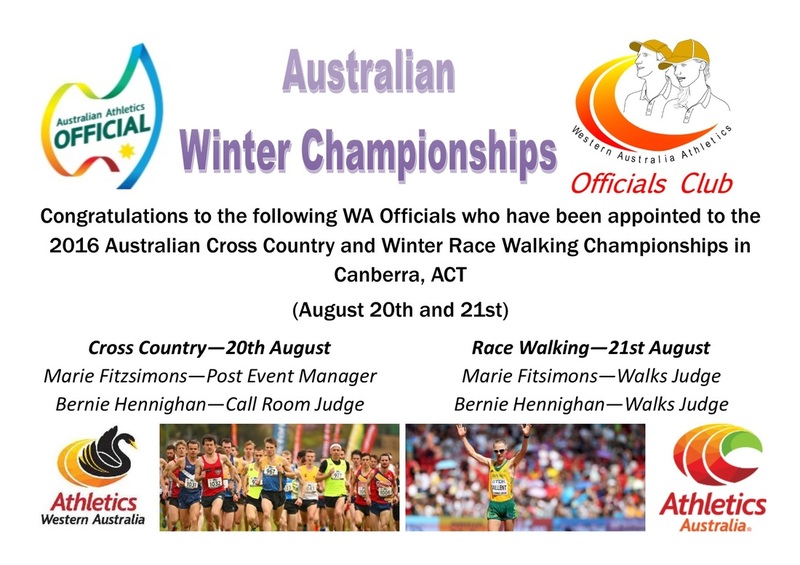 Congratulations to the Officials from WA who have been appointed to upcoming National Championship Events.